Consult with skin experts if a novel situation occurs. Tear down the bigger paper on the adhesive plaster, then attach the foot patch onto the adhesive plaster. Attach the foot patch which is already in the adhesive plaster now onto your vola. 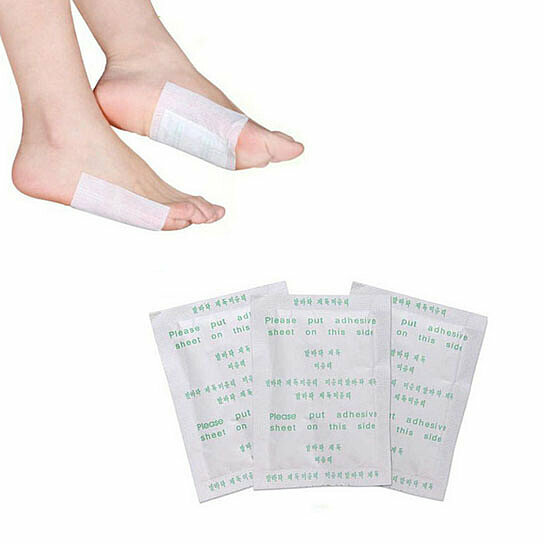 Next morning, tear down the foot patch bag and clean the skin.